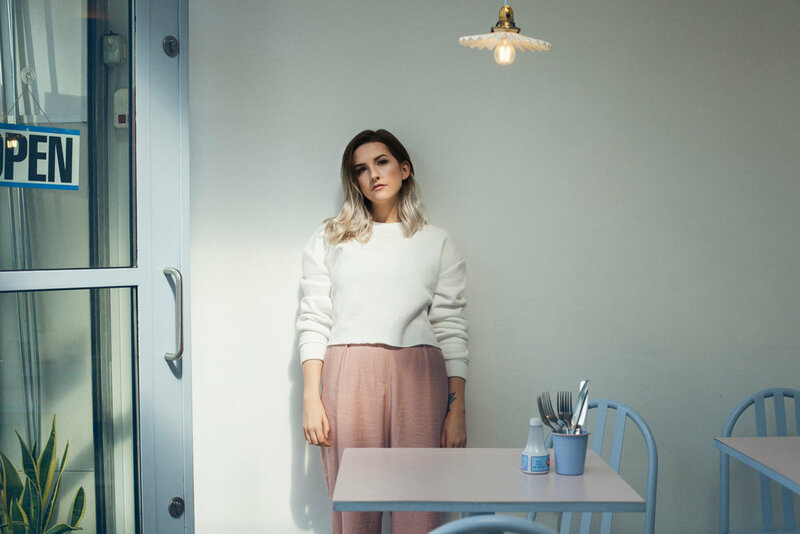 Gleaming synth-pop meets soulful vocals and artful lyricism - Galway’s own Laoise is creating music that’s ahead of the curve. What prompted you to get involved with music? All my life I’ve been surrounded by music. My parents introduced me to traditional Irish music when I was around five, where I began playing the fiddle and became obsessed with melodies and harmony straight away. I guess it made sense that I followed on to learn and teach myself piano and guitar from there, but nothing held as much of a grasp on me as songwriting. Once I had realised I could use my voice to say something powerful, I felt so liberated. The biggest turning point that really prompted me to get involved with music was when I began incorporating electronic sounds into my music, I felt I had dipped into a whole new realm of sounds and emotions, and I had never felt such a catharsis from anything before in my life. Can you tell us a little bit about what inspires your writing? I’m not one to keep everything bottled up inside me, so most of my writing comes from personal experiences when I just need to purge. It’s usually just me at a piano or on my computer looping a synth where I’ll an blurt idea out within an hour and that’s the main bulk of a song, so my inspiration is very momentary - sort of like a snapshot of my life at the time. How do you feel about the live stage - is it integral to your sound developing or an extension of what you already do? What would you say are your main influences? Definitely strong female artists like Stevie Nicks and Kate Bush, I could never get enough as a child. I’ve been galvanized by their colour and visual aesthetic. When I find myself adapting a theme to a song, artwork, video or whatever of mine, I like to watch movies, sometimes read books, and draw influence from there. I sometimes feel myself stepping into a character’s position and becoming them for a little bit, it’s way too fun.